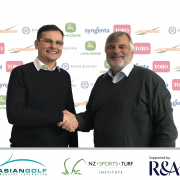 New Zealand Sports Turf Institute (NZSTI), a member of the Labosport group, is pleased to announce its partnership with the Asian Golf Industry Federation (AGIF) in delivering the inaugural Certificate in Greenkeeping (CIG) programme, in Kuala Lumpur, Malaysia – the first of its kind in Asia. The AGIF has used NZSTI’s expertise to develop a programme that will improve the professional knowledge of greenkeeping staff and provide an educational framework for the golf greenkeeping industry in the region; the initiative is backed by The R&A. Richard Walne, AGIF President, said: “The objective was to be able to offer an accessible, affordable and internationally recognised certification for superintendents. Thanks to the support of The R&A, we have succeeded in those objectives”. Walne, who is also Toro’s Australia and Asia Pacific Managing Director, added: “The Certificate will provide a much-needed education path for turfgrass professionals in Asia, which already exists in North America, the United Kingdom, and Europe, and Australia, and New Zealand”. 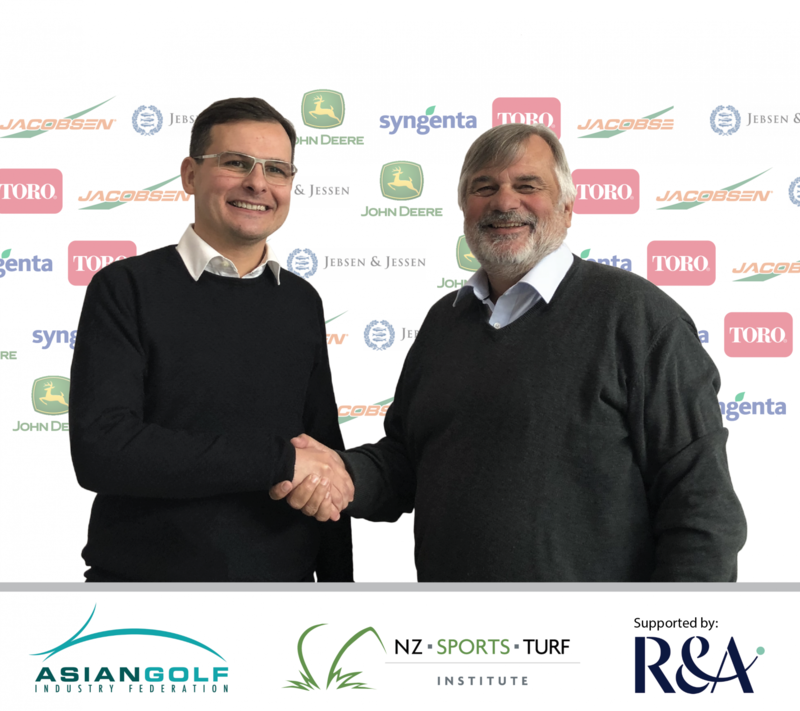 Olivier Ducrocq, Managing Director of New Zealand Sports Turf Institute and Labosport Asia – Pacific “We are looking forward to the opportunity to showcase our expertise in the delivery of sports turf management for the betterment of the golf industry in Asia”. An initial five-day Introductory Course (November 26-30) and Workplace Supervisor Course (November 28 – 30) will be held in Kuala Lumpur and will include modules 1. Golf Course Ecology and 2. Lead Greenkeeping Staff. 5. Pest, Weed, Disease and Disorders. Education Partners in the programme are Jacobsen, Jebsen & Jessen; John Deere; Syngenta; and Toro, all Executive Members of the AGIF. AGIF is a not-for-profit organisation boasting more than 100 member companies from all areas of the golfing industry.